Sharon Grossman, a Junior in our Yeshivah, signed up through our Pathfinders Program to pursue her interests in politics and journalism. 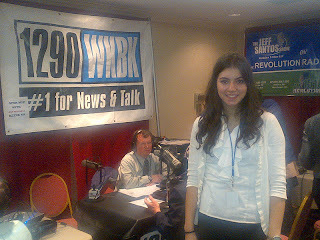 This enabled her to work as an intern on the Republican campaign with Ari Zoldan, CEO of Quantum Networks. Recently, she has been working with a credentialed news agency to report about the New Hampshire Primary, where she was fortunate enough to meet some of the presidential candidates. Sharon is truly gaining insights into the world of politics, media and journalism by taking part in the real world experiences that our Pathfinders Program has to offer.